Tend the walls of a vertical garden with the tropical design of this floral wall decoration. 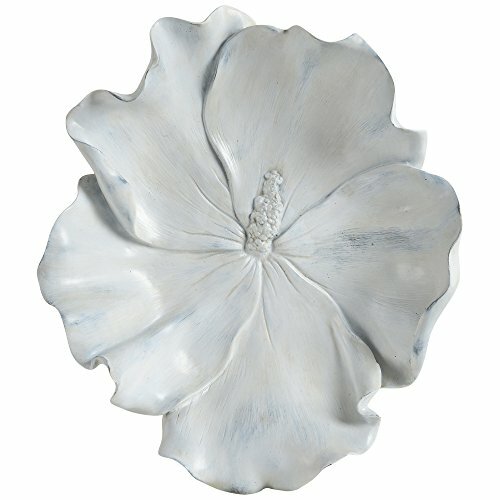 Artful resin casting shapes the delicate petals of the hibiscus flower, while a white-washed finish lends this blooming wall accessory the plastered appearance of handmade pottery. The decorative flower adds a dimensional element to flat interior walls, filling the room with botanical flourish. If you have any questions about this product by Ren-Wil, contact us by completing and submitting the form below. If you are looking for a specif part number, please include it with your message.